Klik voor een Nederlandse beschrijving op een van de ‘Shop Nu’ knoppen. Seasonal fruit and vegetables: eating according to the season is not just tastier, but also more sustainable. But what to eat when? And what is the most sustainable origin for your food? 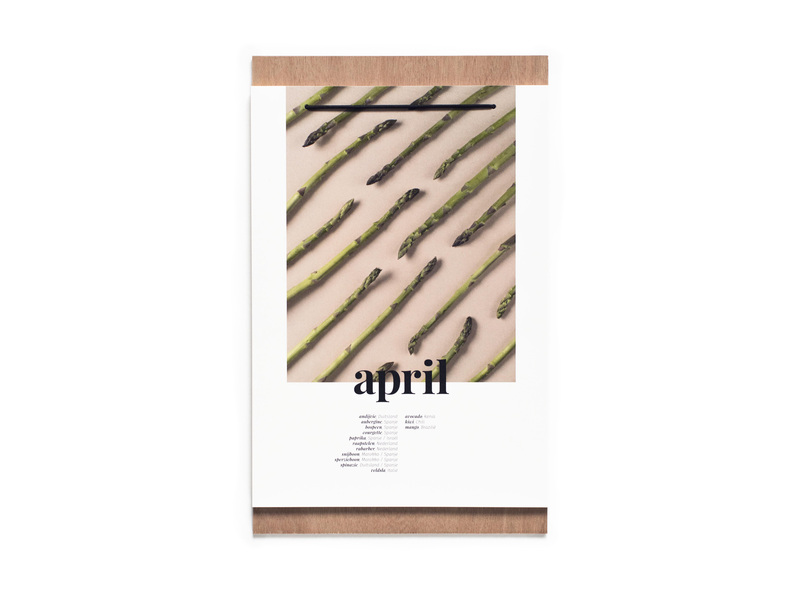 This seasonal fruit and vegetable calendar doesn’t just tell you when your favourite fruits and veggies are in season, it also tells you what to the most sustainable original of these fruits and veggies is. 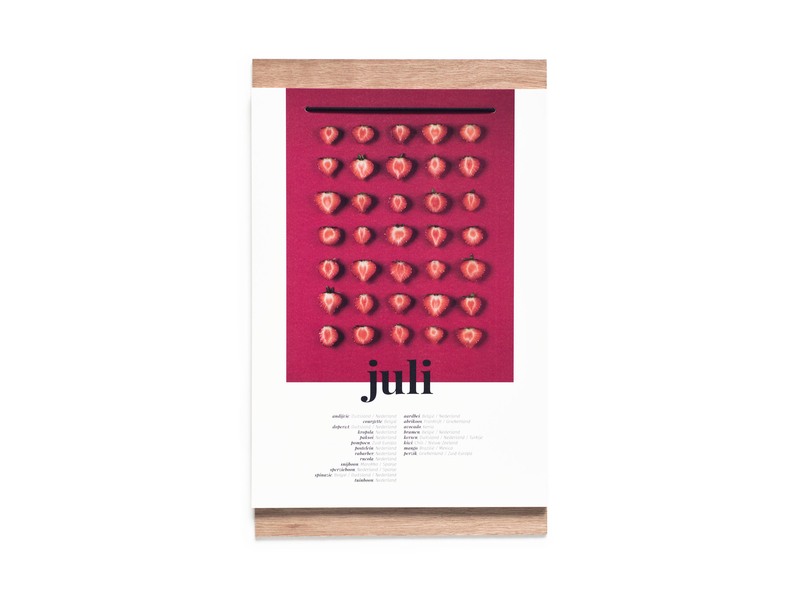 Above all, this calendar is a real eyecather in your kitchen, due to its minimal design and the photography that emphasises the beauty of the seasonal produce. Extra fancy? You can use this calendar year after year. 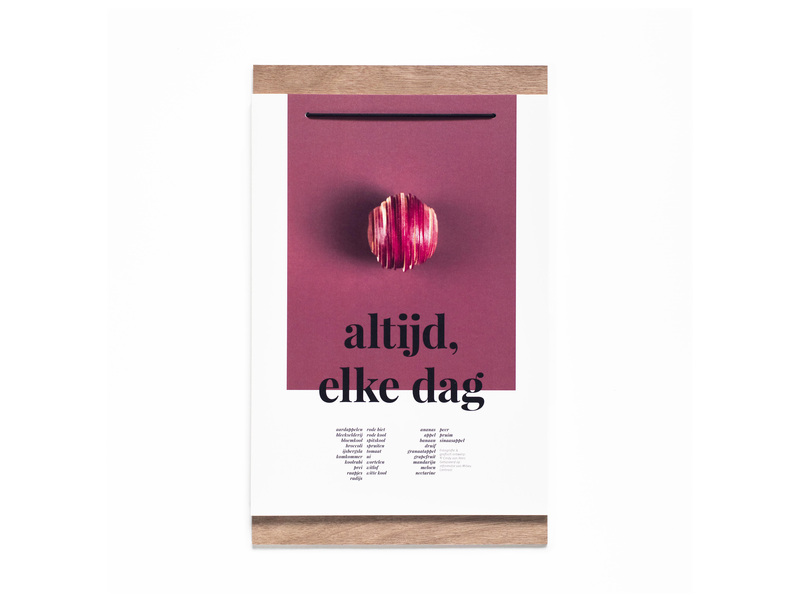 The calendar exists out of thirteen pages; an overview for every month and an Always Perfect page, which tells you which fruits and vegetables are always in season in the Netherlands. 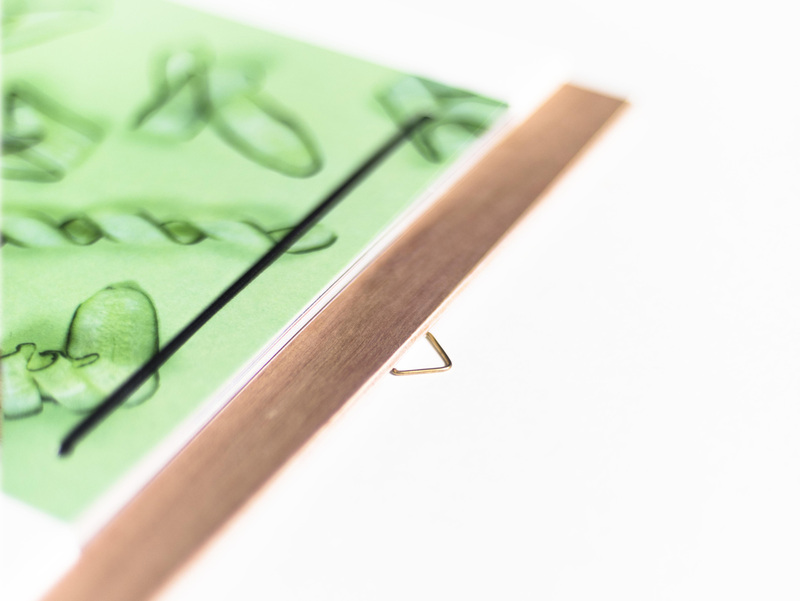 Due to the elastic bands you can easily change the months. Including a hook to hang the calendar. 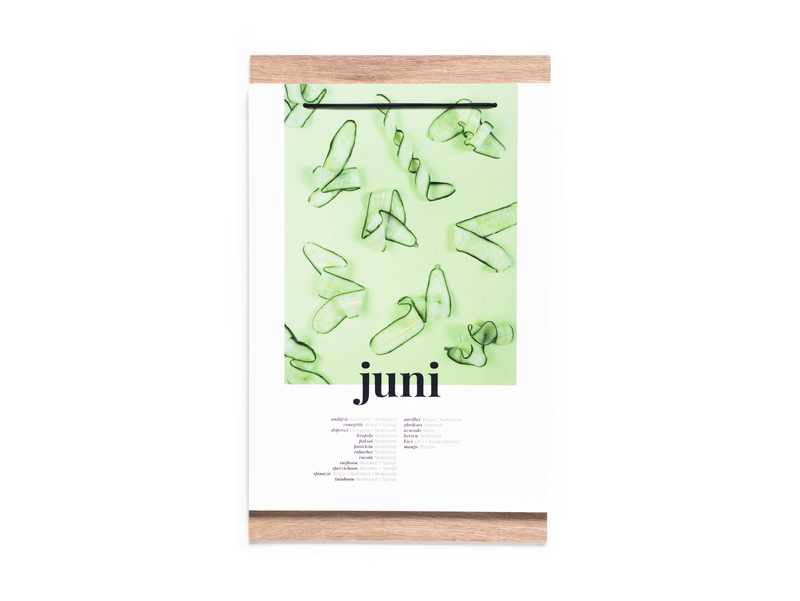 The calendar is printed on 300 grams sustainable paper (biotop) and is attached to the FSC certified wooden back by elastic bands. 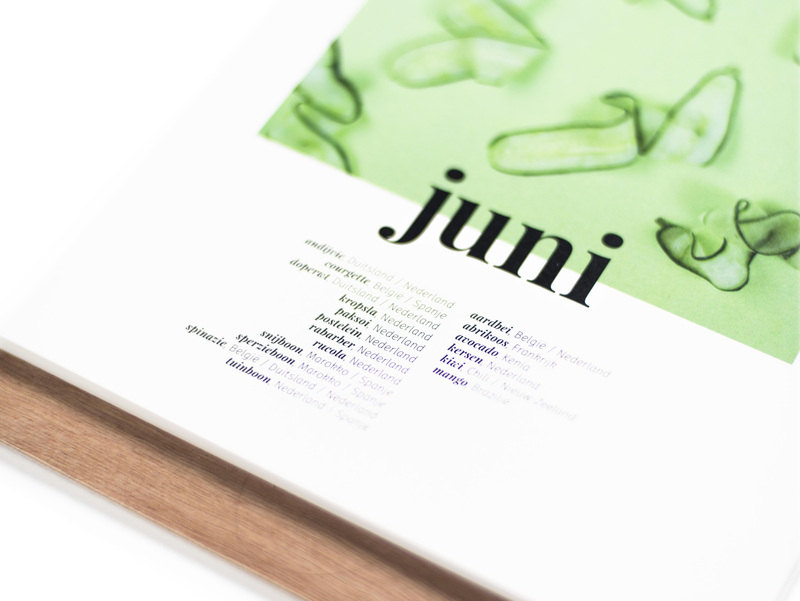 The prints are A4, the full size of the calendar is 21 x 34 cm. 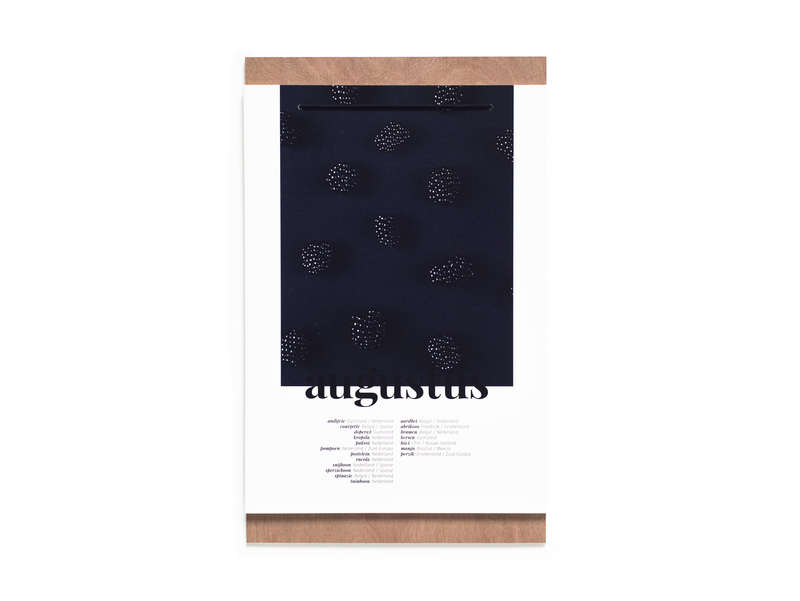 Note: the seasonal produce information on this calendar is based on the Netherlands.